This week we welcomed a new group of fourteen students to the field school. The group is quite international with students from all over the United States, as well as China, the Netherlands, and Ireland. 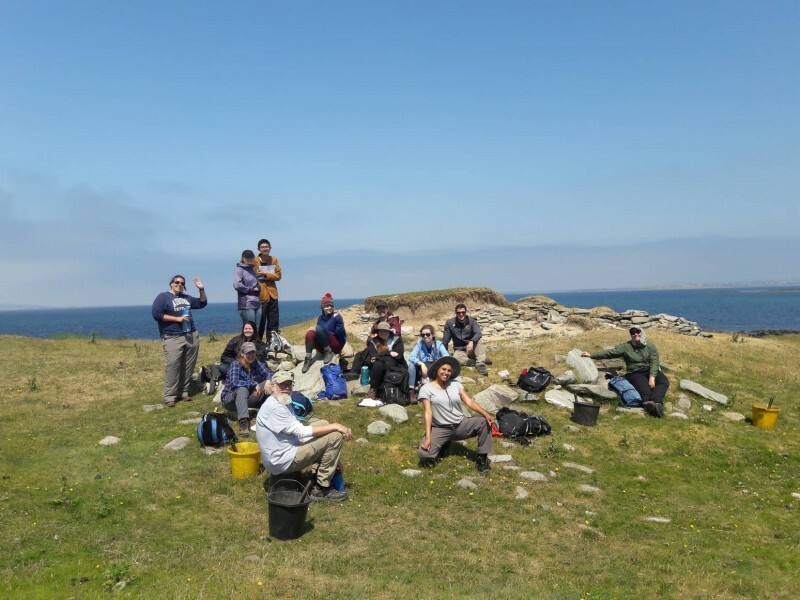 On Monday on Tuesday we had orientation with lectures and workshops on archaeological field methods, finds identification, and on the background to our new research project at Caraun Point. We hiked up to the Deserted Village of Slievemore to explore some of the vernacular buildings in the settlement and practice buildings recording. Work began in earnest on Wednesday, our first full day on site. Having finished up work at Keem for the season, we have moved to a new site called Caraun Point. Caraun Point, in the north-east of Achill, is a machair-covered promontory extending into the Atlantic Ocean. The site is home to a multi-period archaeological complex comprising a robbed-out caher (early medieval enclosure), an early modern village, a children’s burial ground, and a complex of shell middens of unclear date. 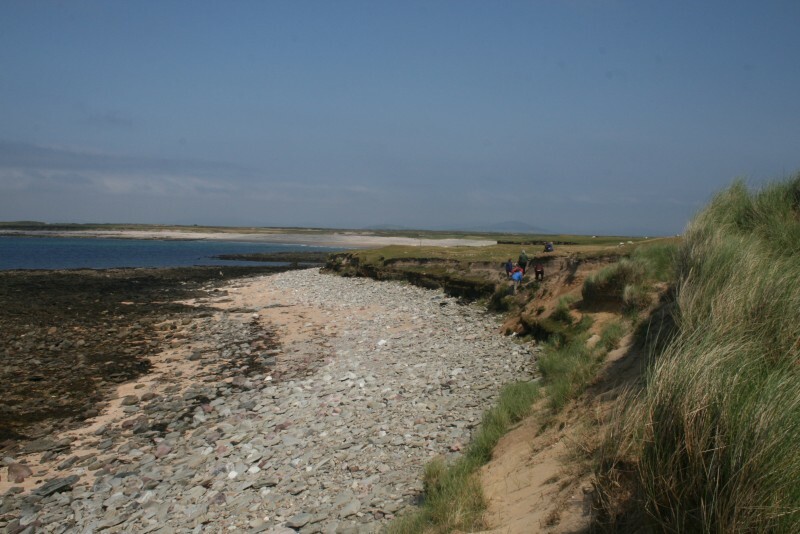 Due to its exposed located and delicate archaeology the site is under severe threat from coastal erosion. The shells middens are crumbling into the sea as the soft sand in which they lie washes into the sea. Our work at Caraun Point aims to investigate the early modern village at the site as well as one of the potentially associated middens. Due to the exposed character of the archaeology our first task was drawing and recording rather than digging. 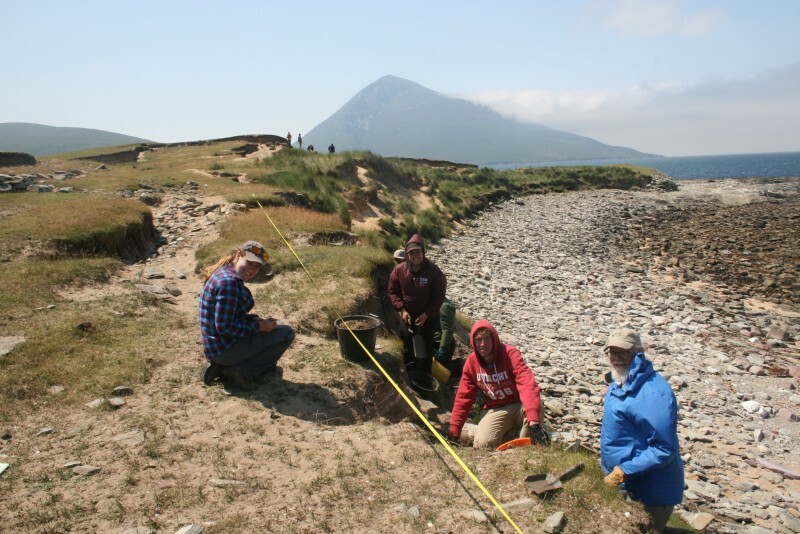 Our senior supervisor Carolyn Howle, a PhD at UCC, led work on the shell midden. Cari and her team began work by cleaning and drawing the exposed section face of the midden at a scale of 1:10. The exposed midden face is over 30m long so it was a significant job. Meanwhile other teams set about drawing plans of the exposed buildings from the village at a scale of 1:20. 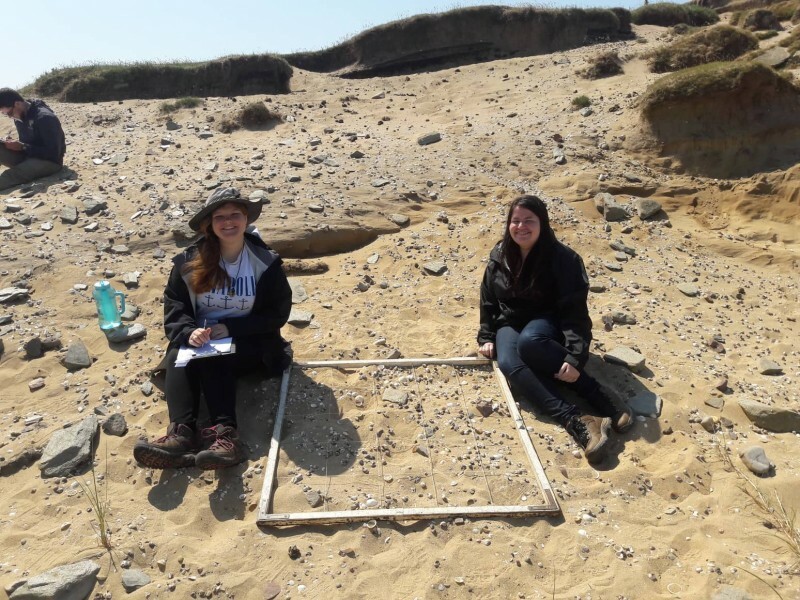 We also carried out surface survey at some of the other middens, recording the number of species and minimum number of individuals in random meter squares which were then mapped. We plan to begin excavation next week after this initial phase of recording is complete.